Founded as a small but prayerful Catholic church in 1956, St Brendan the Navigator Parish has expanded to become one of the Columbus’ most active, vibrant parishes. Our parishioners are generous with their time, talent and treasure, and as a result, we are seeing continual growth in our ministries. With our last significant expansion more than 20 years ago, the time has come to embark on a new effort for the future of St Brendan’s. 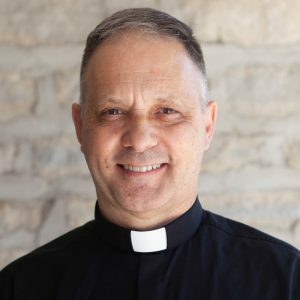 As one of the largest Catholic parishes in the Diocese of Columbus, we are long overdue for facilities that meet the needs of a community our size and allow us to grow deeper in our faith. However, this campaign is about more than just offices, meeting rooms and sacred spaces (although that is important!) What we’re really building through this campaign is capacity and opportunity for people to experience the authentic presence of Jesus through ministries, outreach, and liturgy. 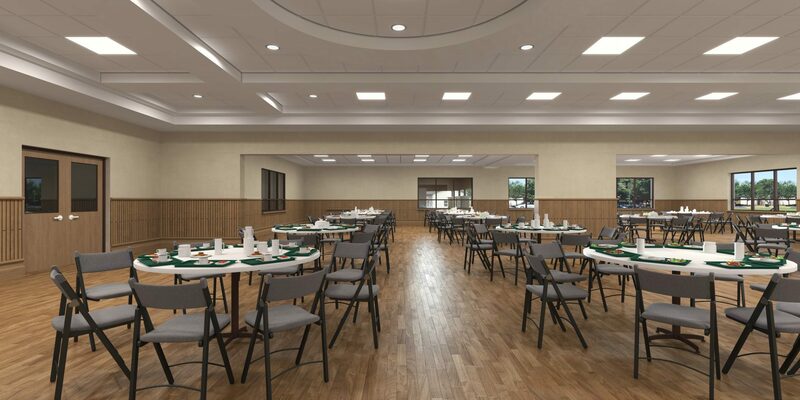 In these new and renovated spaces, our community will find fresh and expanded ways to grow in their faith and build a Catholic community, and this truly is an historic opportunity for our parish. We all share a common bond as members of St Brendan Parish Family, and these facility improvements will benefit our whole community. As such, we are inviting and encouraging everyone to make an investment in The ONE Campaign. With your generous support, we can provide the facilities needed to support our growing faith community and help in our mission to meet and guide people along their journeys of faith. Thank you for your prayerful discernment and generous investment! 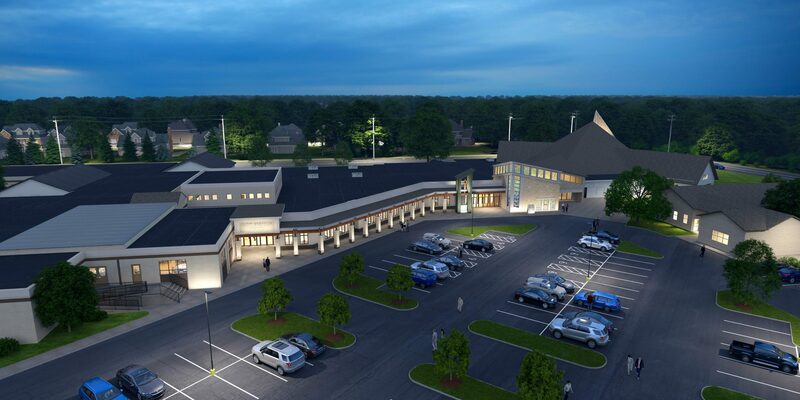 For the past several decades, St Brendan the Navigator has been striving to meet the needs of our growing parish. In 2016, we embarked upon a study to determine the most critical needs of our parish. These included significantly more meeting and ministry space, greater storage, renovated office space, a preschool ministry and a desire for liturgical space for Eucharistic Adoration. From this study, we designed a stand-alone building to address many of these needs. Initial designs were presented to the community in the summer of 2017, followed by a feasibility study later that fall. Unfortunately, we quickly learned that the proposed parish center design was not financially feasible and would not address all the needs identified by our community. It was literally back to the drawing board. But we trusted where God was leading us, and He turned our initial disappointment into something great! On September 25, 2018, St Brendan officially launched The ONE (Our Navigator Expansion) Campaign – a four-phased building construction and expansion campaign to better meet the needs of our vibrant community. 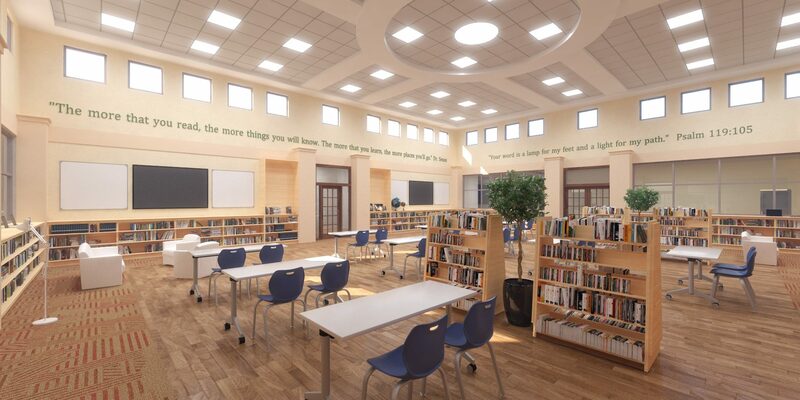 Highlights include construction of an Adoration Chapel, additional meeting space, new offices and storage, a new Student Learning Center, a future early childhood education wing and renovation of existing space. Details of each phase can be found in the sections below. It has been more than 20 years since our last major expansion and renovation project, and we are long overdue for additional space. During this process we listened to feedback from our parishioners and ministry leaders and developed a plan that meets the needs addressed by YOU, our faith community. Full parish and school support is critical to the success of this campaign. Per Diocesan guidelines, we need 100% of construction costs pledged and 50% of pledge funds collected to begin construction. Should it take longer than expected to meet these guidelines, it’s very likely that the cost of the project will increase. After determining that our original design was not feasible, we began looking at the campus as a whole and finding ways to make the best use of new and renovated space. The result is a four-phased approach that will allow us to address the highest needs first and allow us to complete future phases as funding allows. “The ONE Campaign: One Faith, One Family, One Future” is a name that represents the unity and connection so valued at St Brendan. 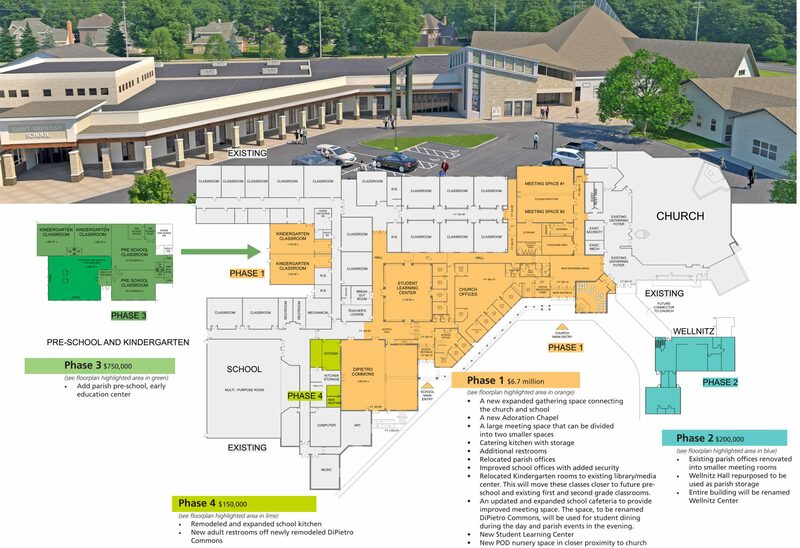 By including ONE (which stands for Our Navigator Expansion) in the name of this capital campaign, we are reflecting the spirit of St Brendan the Navigator Parish as well as the physical and symbolic connection of our school and parish facilities into one cohesive campus. It is with great joy and faith in the Lord that I write this message—the time has FINALLY come to unveil our St Brendan the Navigator Master Plan! On this webpage, you will find details about the four phases of The ONE (Our Navigator Expansion) Campaign and discover more about how this design can best meet the needs of our vibrant parish. 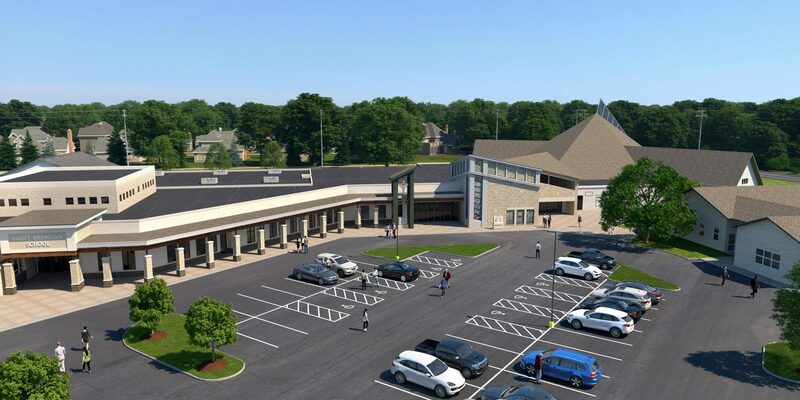 Working from our community’s needs assessment, we have carefully designed a total of 33,625 square feet of new and renovated space to address the concerns identified by YOU—our parishioners. With additional meeting, storage and liturgical space, we believe this plan will better integrate our parish, school and faith formation communities and help our campus to become an even more vibrant hub of faith, evangelization and outreach. As our parish’s first major renovation in over 20 years, this effort is long overdue and critically needed. The ONE Campaign—a name that reflects the unity and connection so valued at St Brendan—is designed to physically link our campus and bring together our community of faith under one literal and proverbial roof so that we can better meet people where they are on their journeys of faith. But the future of this vision is in the hands of those we serve. We need prayerful and generous support of this campaign in order to achieve the financial milestones needed to begin construction of this project. I encourage you to prayerfully discern what St Brendan Parish has meant to your faith life and how YOU can be a part of this historic effort. Together, as ONE, we can make this project a reality. You can download the pledge card here. These gift opportunities provide a lasting symbol of your support. To reserve or check availability of the gift opportunities listed above, please contact our Parish Development Director, Colleen Speer by phone at 614.876.1272 ex.238. All donors will be recognized and honored in a special way. The final recognition display has yet to be determined; however, it will be located in the new gathering space. We will keep donors informed as this recognition display develops. Stocks: One of the most tax-efficient ways to give is by contributing long-term appreciated securities, like stocks. There are two big advantages to donating in this way. First, since you are not selling your stock, there are no capital gains taxes to be paid when you gift the stock. The more appreciation the stocks have, the bigger your tax savings will be. The second advantage is that any of your stocks that were purchased over a year ago that have a current value greater than their original cost can be donated and become eligible for a tax deduction equal to the full fair market value of the stock, up to 30 percent of your adjusted gross income. Please see your tax advisor for more information. IRA Charitable Rollover:The IRA Charitable Rollover, or qualified charitable distribution (QCD), allows individuals who are 70 ½ years or older to satisfy all or a portion of their annual required minimum distribution (RMD) and donate up to $100,000 to charitable organizations directly from their IRA, without that donation being counted as taxable income when it is withdrawn. To qualify, contributions must come from a traditional IRA or Roth IRA, and they must be made directly to a qualified charitable organization. Donor Advised Funds: A donor-advised fund is a type of charitable giving where you donate a nonrefundable amount, either in cash or securities, to a nonprofit of your choice. The advantage to this type of giving is that you are able to direct the fund’s administrator as to which charities should receive the donations. You also immediately receive the maximum tax benefit from the IRS for your contribution, and you can set up the funds to continue in the future. 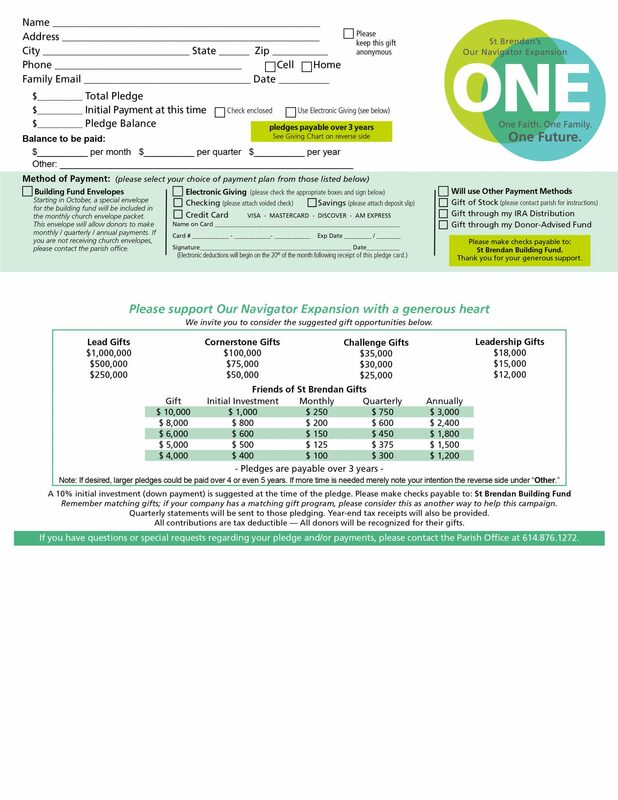 To fulfill a pledge using a gift of stock or appreciated securities for The ONE Campaign, please download the following forms, using the instructions provided on each form. 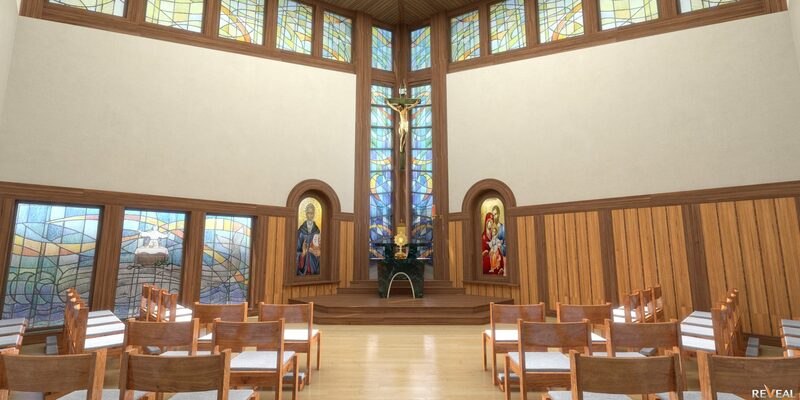 A brand-new Adoration Chapel is planned, featuring beautiful icons, and a stained glass triptych of Saint Brendan. 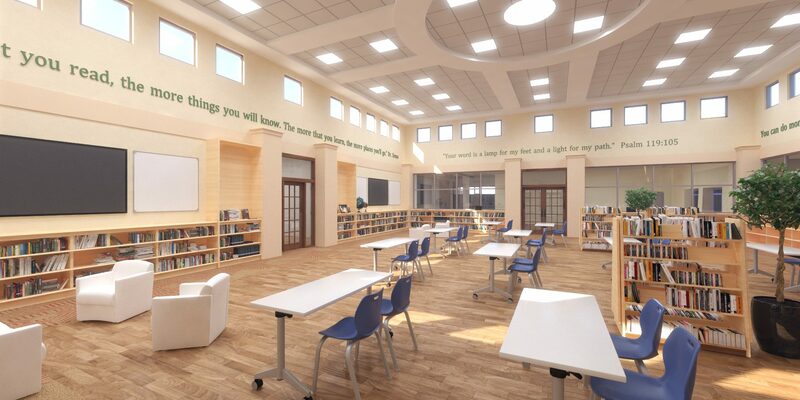 The new Student Learning Center will become the hub of St Brendan School and is designed to foster innovative learning in a comfortable, flexible, environment. With modular furniture, the Student Learning Center can easily be reconfigured for other parish needs in the evening, including conferences, presentations and other meetings. 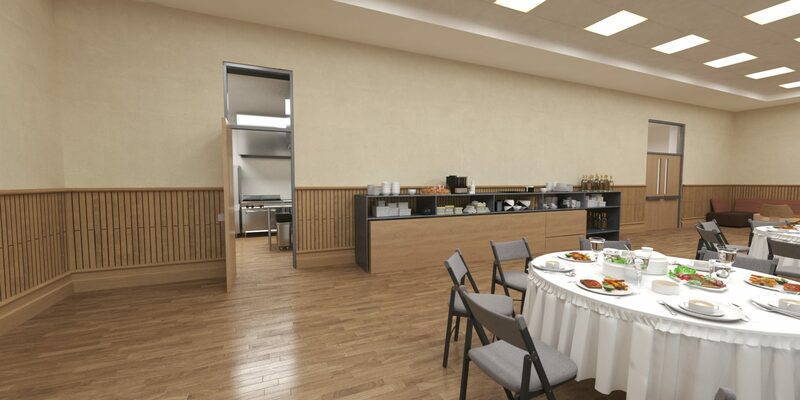 Located immediately adjacent to the gathering space and in close proximity to the sanctuary, the meeting hall will be an ideal location for social and faith formation events. 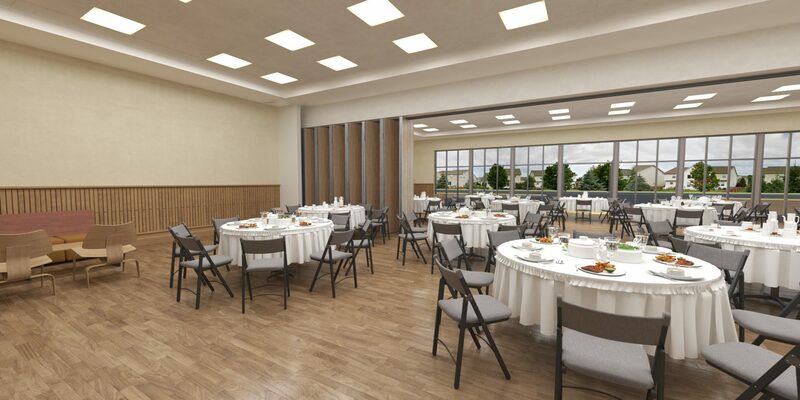 To address the most significant concern of meeting space, a new, dividable meeting hall will be added, complete with an attached catering kitchen. From daytime activities to evening events, St Brendan’s Parish is a busy place, full of opportunities for those looking to grow in faith and community. The new building design will help to create a welcoming and clearly identifiable entrance to the St Brendan’s campus and provide a more cohesive campus flow, including a landmark monument and visible cornerstone. The ONE Campaign will physically and symbolically bring together our entire parish community by linking our campus buildings together. 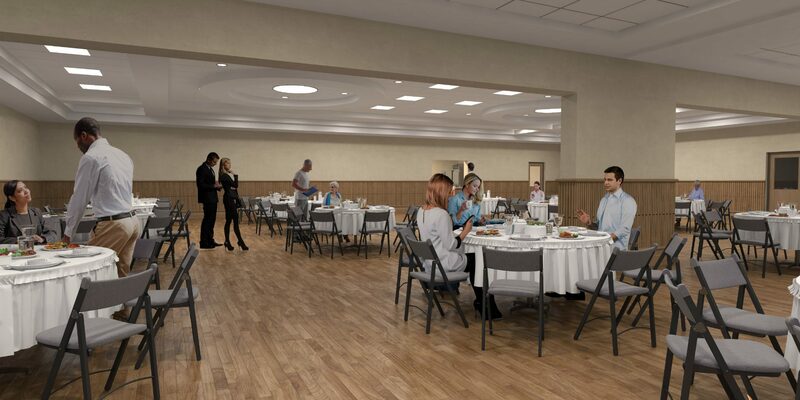 By relocating two kindergarten rooms, we will be able to renovate and expand the existing school cafeteria into DiPietro Commons, a parish event space with capacity for 300 people. DiPietro Commons will be used for student dining during the day and other parish events in the evening and weekends. 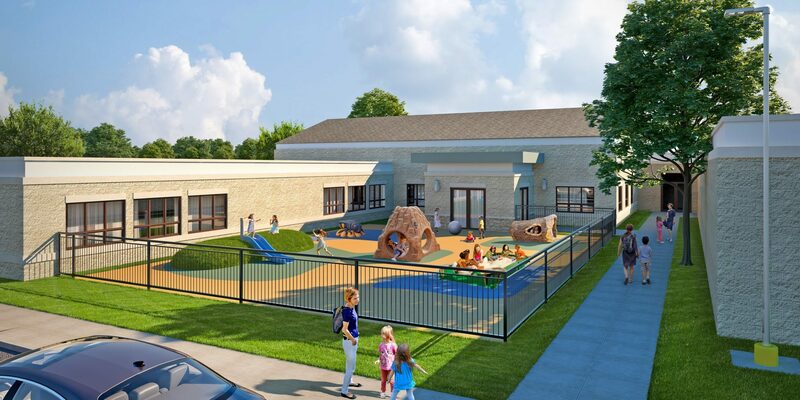 With an age-appropriate playground, drop off vestibule, and preschool and kindergarten classrooms, the early education wing will support the youngest St Brendan students. We give you thanks and praise for the many blessings you give us each day. You have asked us to build up the kingdom of God, each in our own way. As we strive to do your will, we ask you to help us discern how you are calling us to strengthen and fortify the St Brendan faith community. Please send the Holy Spirit to guide us along the way and show us how best to invest the gifts of time, talent, and treasure that you have so generously bestowed on us. Through the ONE campaign, may we seek to connect our community physically under one roof so as to visibly show our unity with each other. Jesus prayed to you, Father, that we may all be one. In that same spirit, prayerfully ask you to bless our community with grateful hearts and a spirit of hope for the future. May we truly be one with each other in the Body of Christ. We ask all this, through the intercession of our Blessed Mother, and in the name of Jesus Christ our Lord. Amen.